There have been may more flu cases in recent weeks, according to the CDC, which issued a health advisory on Wednesday. The CDC is recommending people take precautions during these frigid temperatures. Soap ’em up often and scrub well. It’s a key way to lower your odds of getting a cold or the flu. You pick up germs on your fingers and can get them in your mouth or eyes. Many viruses spread that way. Make sure you have the supplies you need to battle germs. Stock up on medicines like pain relievers or decongestants. Don’t forget tissues, soap, and hand sanitizer. Check to see if your thermometer works, too. 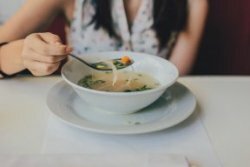 At the supermarket, load up on fluids, herbal tea, and simple comfort foods like chicken soup. Cold or flu? There’s no surefire way to tell the symptoms apart. Even your doctor may not be sure which one you have without testing. Usually, colds are milder. You might have a runny or stuffy nose. The flu is usually more severe and comes on suddenly. It will probably knock you off your feet for a few days. Fever, body aches, and exhaustion are more common with it. Get the Right Medicine. You can choose from a lot of cold and flu remedies. Combination medications package several solutions in one pill — like a decongestant, cough suppressant, and a painkiller. They can be convenient, but they might not be your best bet if you don’t have all of the symptoms they treat. Instead, choose a medicine to treat only your specific symptom. Read labels closely, and don’t take more than one medicine with the same ingredient. Viruses cause colds and flu. Antibiotics work only with bacterial infections, so they won’t help you feel better. And if you use them when you don’t need them, dangerous germs that are resistant to drugs can breed. Take time off. If you push yourself to work instead of rest, your recovery may be much harder. Your cold could last longer, and you could also spread germs to other people. Try a spoonful of honey to soothe your cough. It may work as well as a drugstore cough syrup. 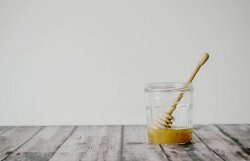 Don’t give honey to kids under age 1 year, though — it’s not safe for them. Also, vitamin C may cut down on how long your cold lasts and how bad you feel. And some studies show that probiotics may help prevent colds. But more research is needed.